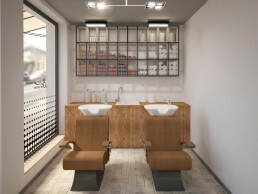 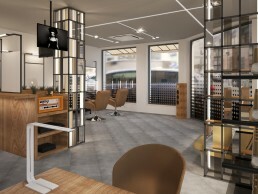 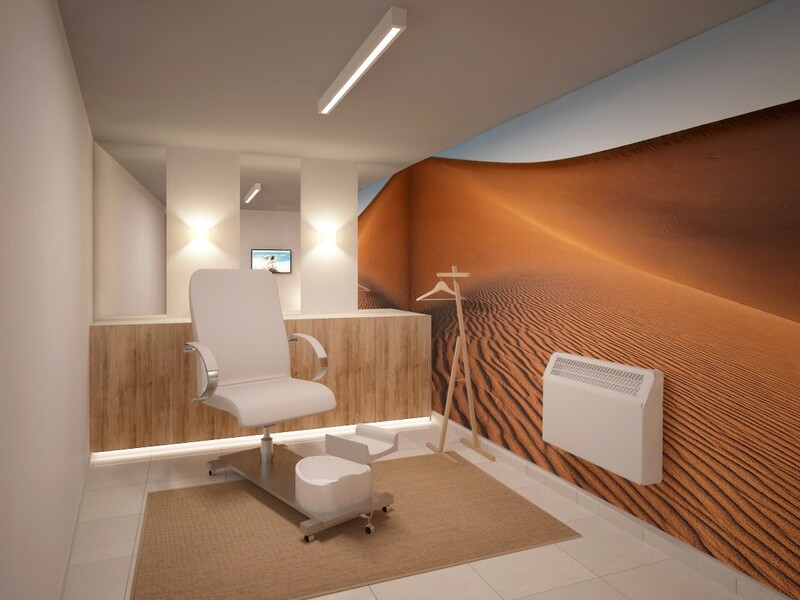 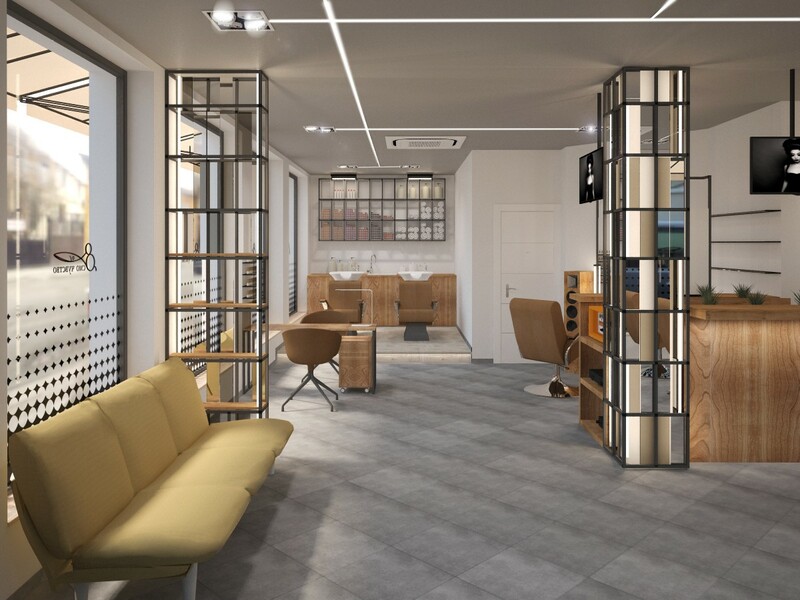 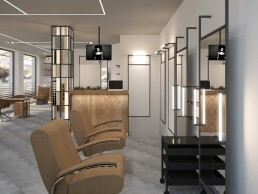 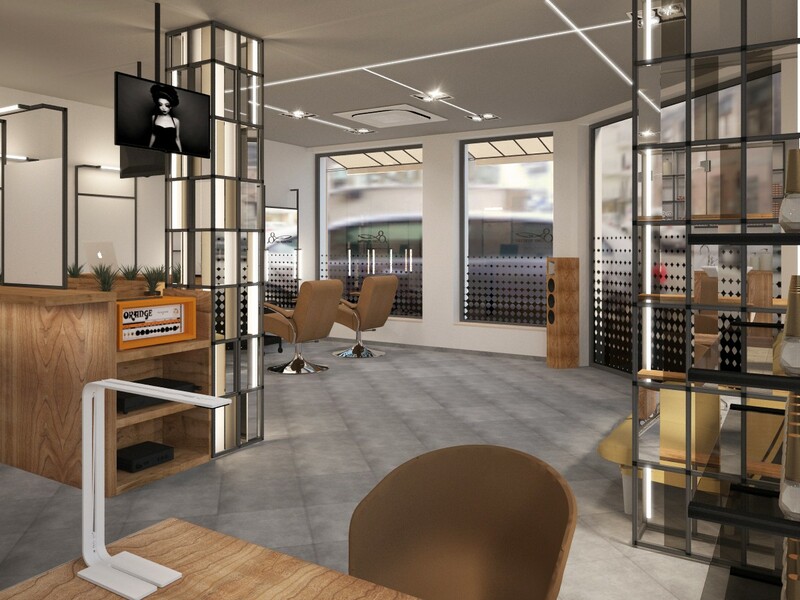 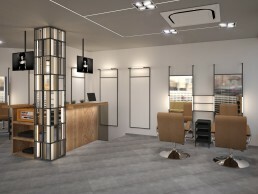 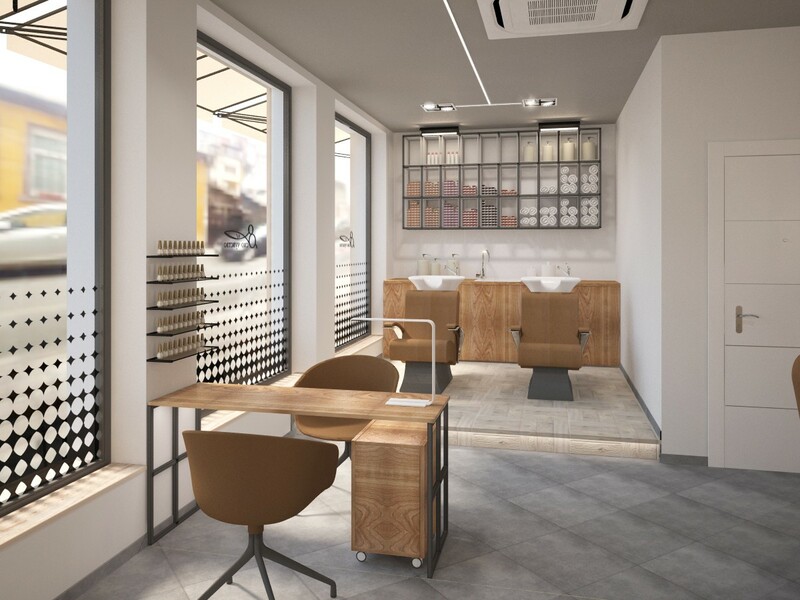 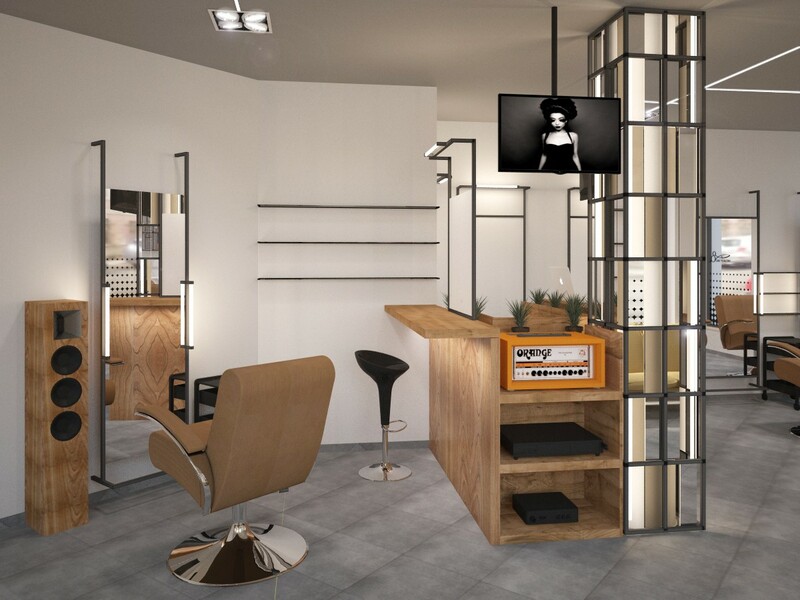 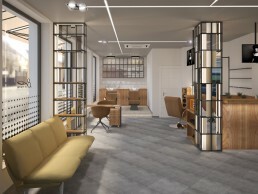 This is a project for 98 m2 Beauty Salon, divided in two floors. 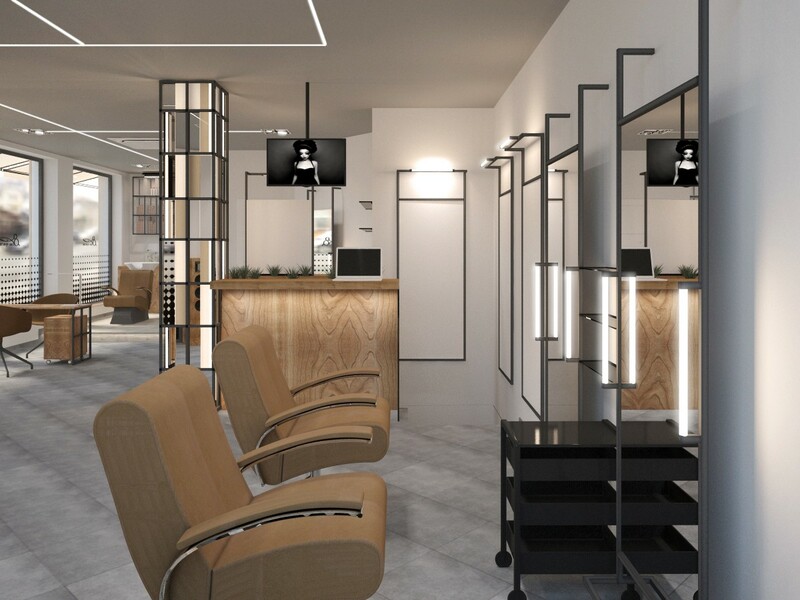 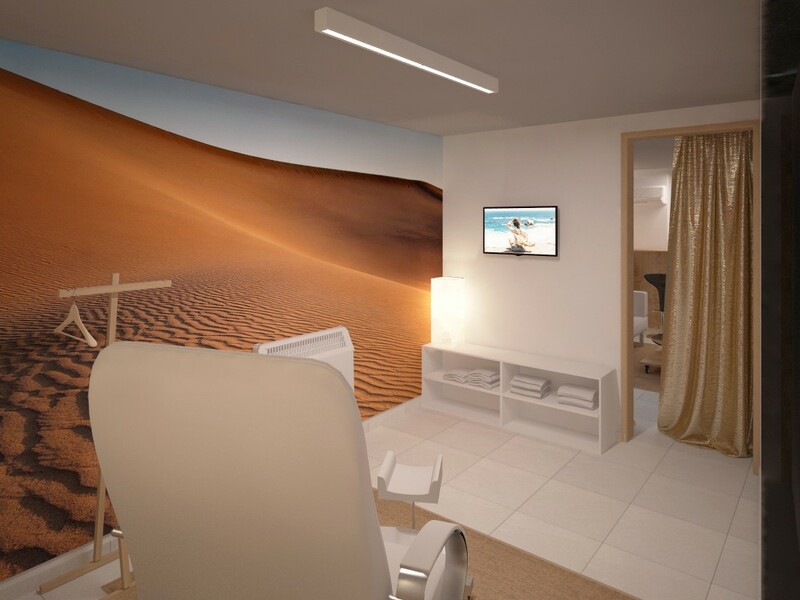 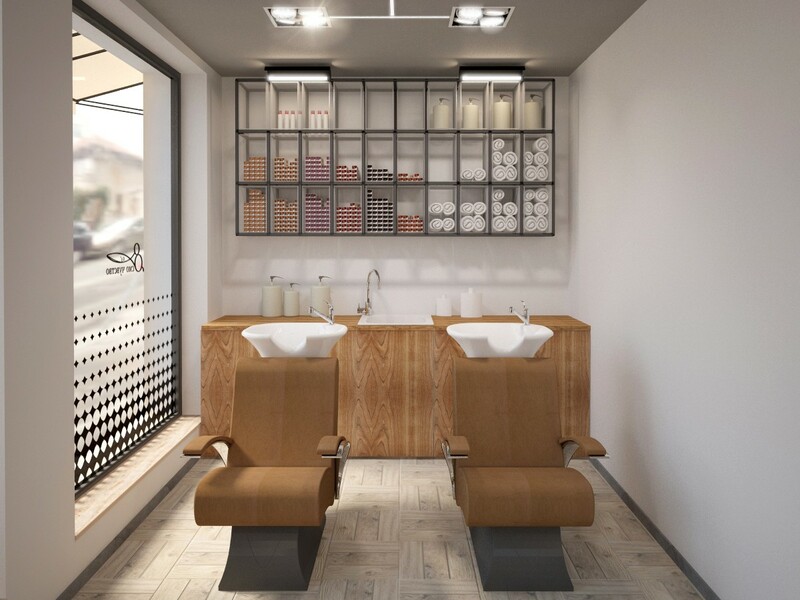 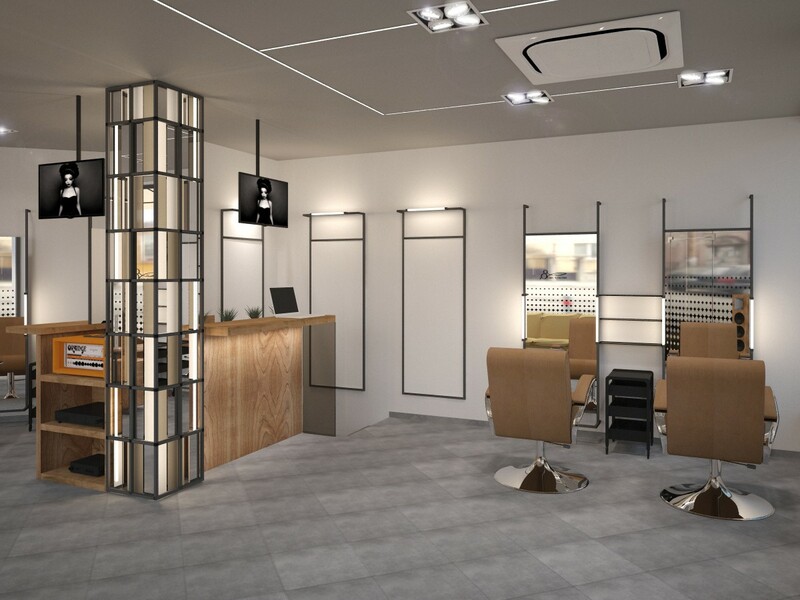 The ground floor provides 3 hairdresser’s workplaces, 2 coloring zones, 1 manicurist’s workplace, 1 make-up artist working zone, small reception, multimedia zone, and a waiting area for clients. 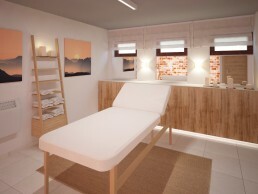 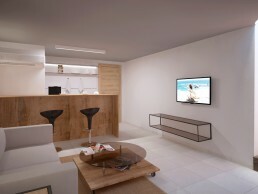 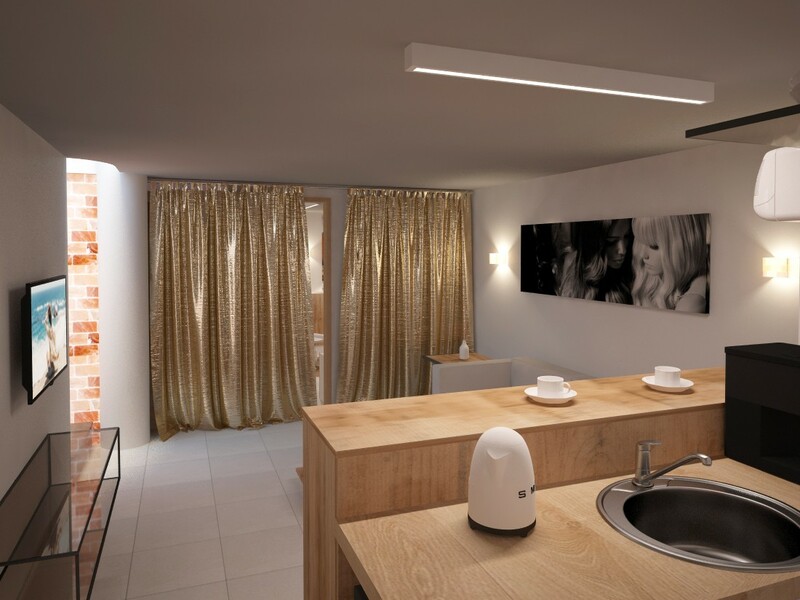 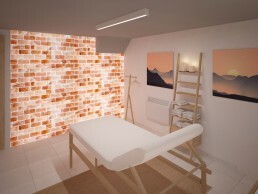 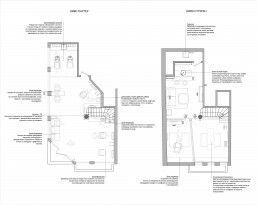 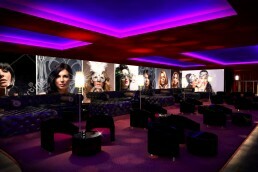 The basement floor includes relax zone with small kitchen, pedicurist’s zone and a massage room. 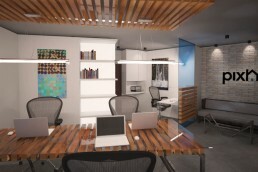 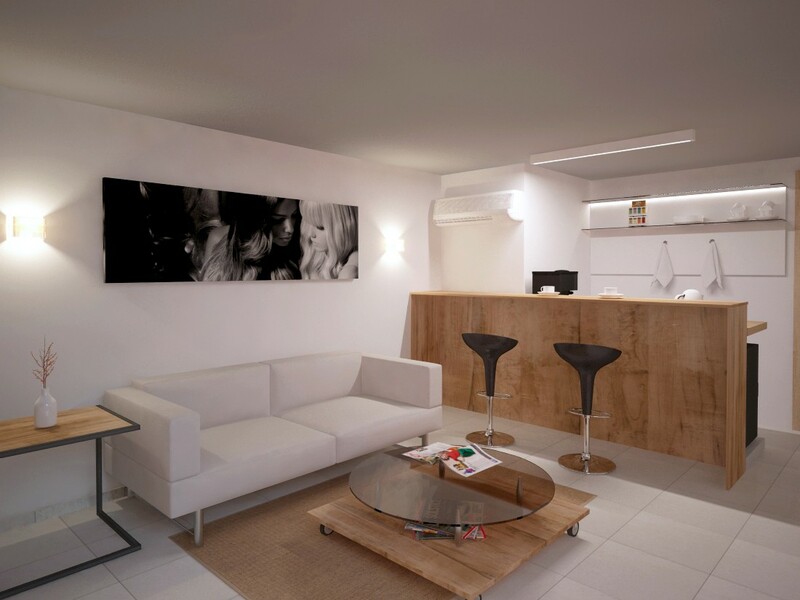 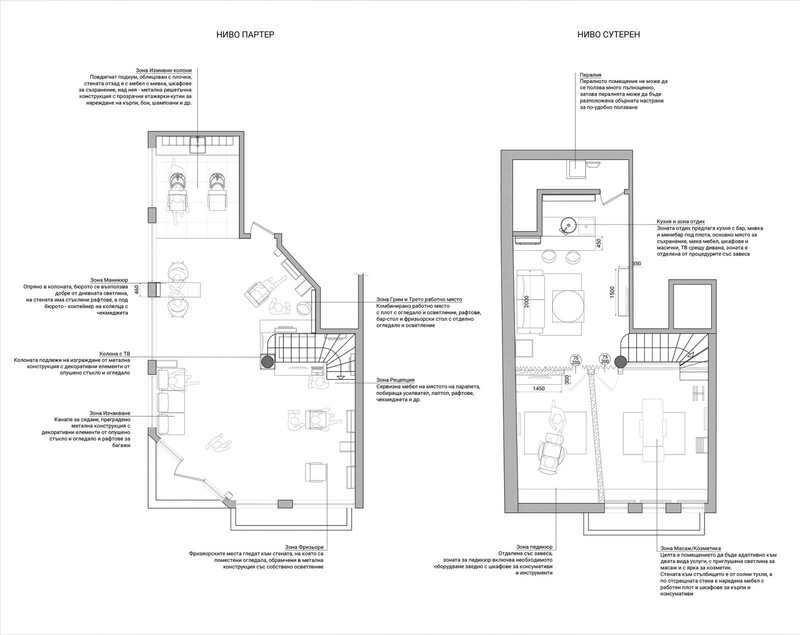 Graphic Designers’ Office in Sofia: Interior Project for INDESIGN Ltd.